* HAITI - stampless cover cancelled "German Freres St. Marc. 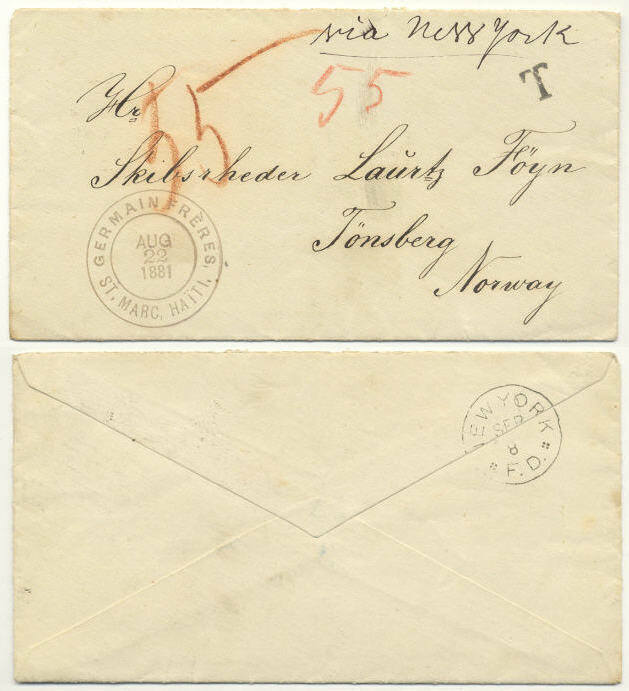 Haiti AUG 22 1881" sent via New York to Tønsberg, Norway. The receiver had to pay 55 øre (endorsed on the front) which indicates that the UPU-rate was in force.